Parenting is a responsibility that does not come with a manual of clear, step-by-step instructions. There is no one specific formula that all mothers and fathers can follow in order to raise their children effectively. As Dr. Honey Carandang says, “the only requirement to be a parent is to have a child”. 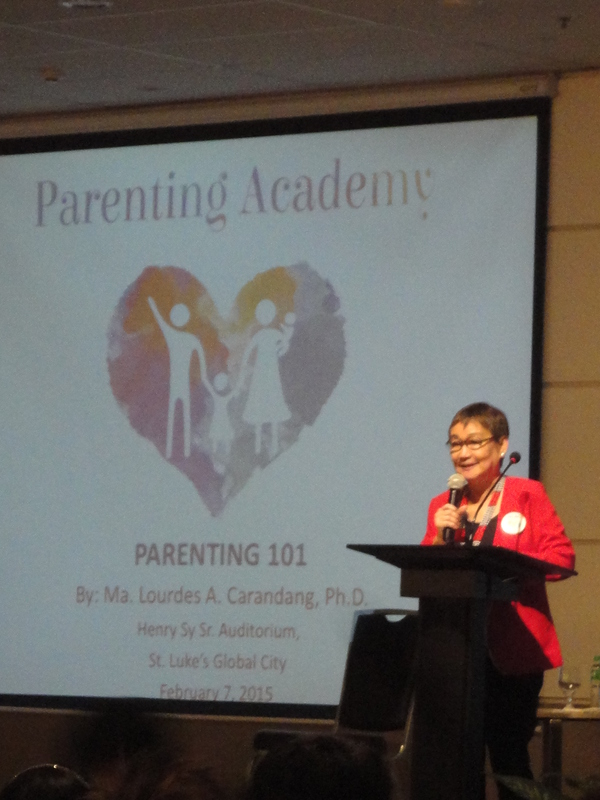 Last February 7, 2015, MLAC held its first ever Parenting Academy at the Henry Sy, Sr. Auditorium of St. Luke’s Medical Center BGC to gather parents, teachers, psychologists, and professionals together, and provide an avenue for discussing questions and matters concerning parenting. As a child and non-parent attending the event, I was not exempt from gaining learning and insight from Dr. Honey Carandang’s plenary session. In the talk, she pointed out the reality of families today and the influence of societal changes on these units, such as the advances in technology, the increase in OFW parents, and the predominance of violence; however, she encouraged everyone with principles that can guide parents to make an impact at a larger scale by beginning the change with how they parent their children. It was interesting to learn about the need for parents to be aware, conscious, and mindful at all times, especially since children grow up, and each stage in life may require specific needs to be met. 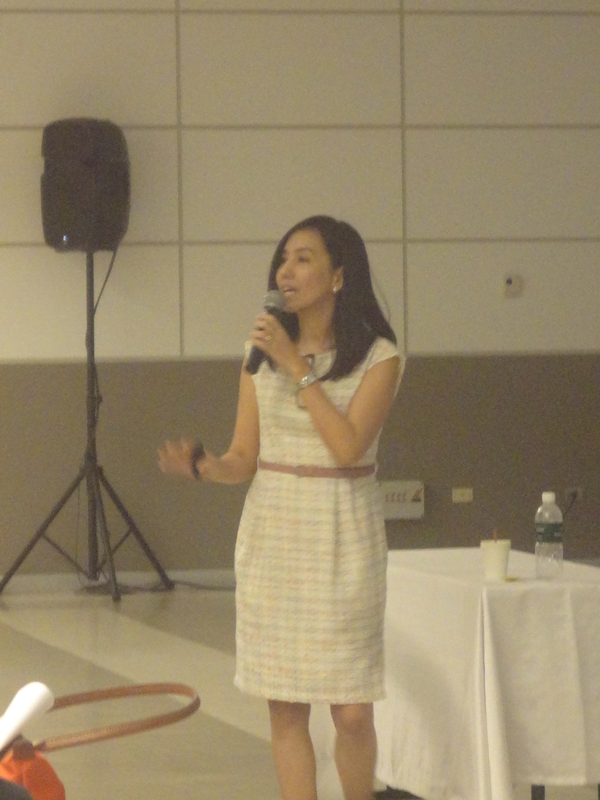 Dr. Honey Carandang presented a developmental framework, incorporating the psychological needs required for each stage. In her discussion, I was reminded of the importance of play for pre-school children. Sometimes, adults become too concerned if the child is too playful or “makulit” and are quick to scold them for messing up or breaking things, but it is in the nature of a child to play and in fact, it is necessary, in order for them to grow in creativity and imagination. I also learned more about the middle adulthood stage or the “sandwich generation”, where parents raise their adolescents, while parenting their own parents. Although I have heard of situations where these happen, which in the Filipino culture is not hard to find, I never fully realized the amount of difficulty and pressures parents face during this time. I appreciated knowing about the value of awareness in these moments, and the opportunity for people to make the most of their situation, in order to truly care for others. Dr. Carandang shared several tips, including being clear and consistent when speaking to a child, affirming the child’s positive behavior rather than always pointing out what he/she did wrong, and criticizing the behavior instead of the person. It was interesting to realize that there is a difference in saying comments like “what you did was wrong” versus “you are wrong”, wherein the latter can be damaging to a person’s self-esteem. I was also reminded of the value of individual differences and the need for adults to understand the differences in temperaments and personalities of their children, which in turn may require flexibility in their parenting style – a need that goes beyond parenting and can be applied to dealing with people in general. Being mindful of one’s own self was also a point I found inspiring. Often, parents may become too preoccupied in the affairs of trying to be the best parent they can be, and in the process, neglect taking care of themselves. I learned that it is important for each parent to find solitude and alone time, so that they may grow to enjoy themselves and their own families even better. Several questions were raised during the Open Forum and Dr. Carandang gladly provided strategies for disciplining children, involving the school in the parenting process, and finding compromise between couples with varied views in raising a child. In the afternoon, several symposia simultaneously took place and tackled timely and relevant topics including Mindful Parenting, Connecting with your Teenager, Parenting Children with Special Needs, and Letting Go: When Parents Play. 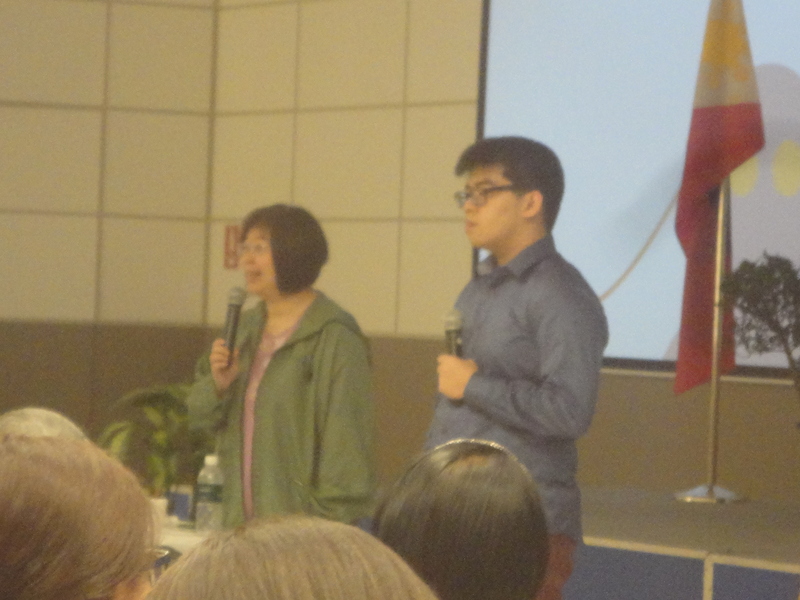 I was privileged to be able to attend lectures on Parenting in the Digital Age by Ms. Queena Lee-Chua and her son Scott, and Raising Children with High Financial Intelligence Quotient by Ms. Rose Fres Fausto, who was later on joined by her son Marty, in the Open Forum. In both talks, it was great to hear from both mothers and sons, who provided interesting perspectives from each side, and which specifically helped in letting parents hear from the child’s point- of-view regarding matters concerning technology and finance, respectively. 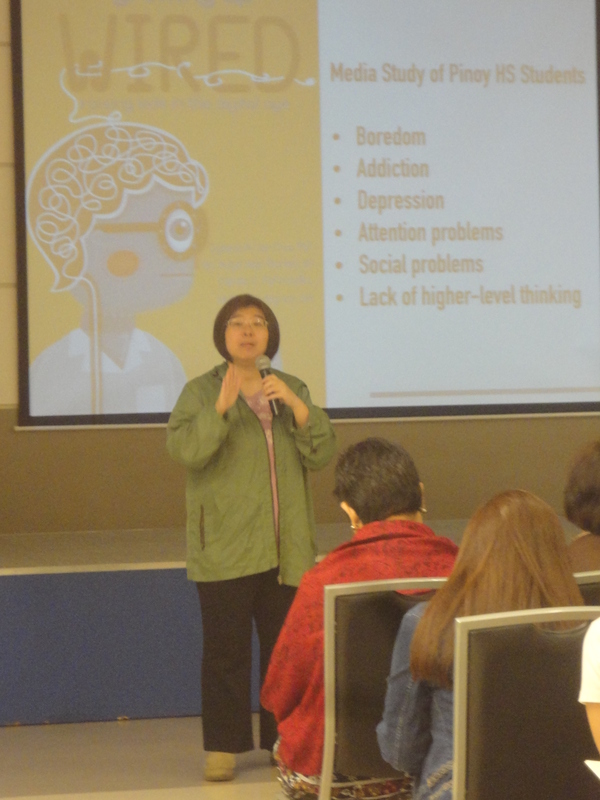 The talk on Parenting in the Digital Age featured a study by Ms. Queena Lee-Chua and colleagues on the media behaviors of Filipino high school students, which revealed concerns in today’s youth, including addiction, depression, boredom, attention problems, social problems and a lack of higher thinking. Through the talk, my eyes were opened to the reality that schools nowadays are much more dependent on iPads and tablets, with some even requiring students to use it for learning. Although technology and tools such as these provide benefits for learning, the speakers reminded the parents that boundaries should be set in terms of limiting its usage, and balancing their use with actual toys or books for learning is much needed. The speakers talked about how children and adolescents more and more are turning to gadgets and seeing it as the only way to relax. It was good to be reminded that there are many other pursuits worth our time, and slaving away in front of the computer does not help in honing other valuable skills. In the end, Ms. Queena and Scott encouraged parents to let their children explore their passions and reminded them to be the best examples for proper use of technology in this digital age. 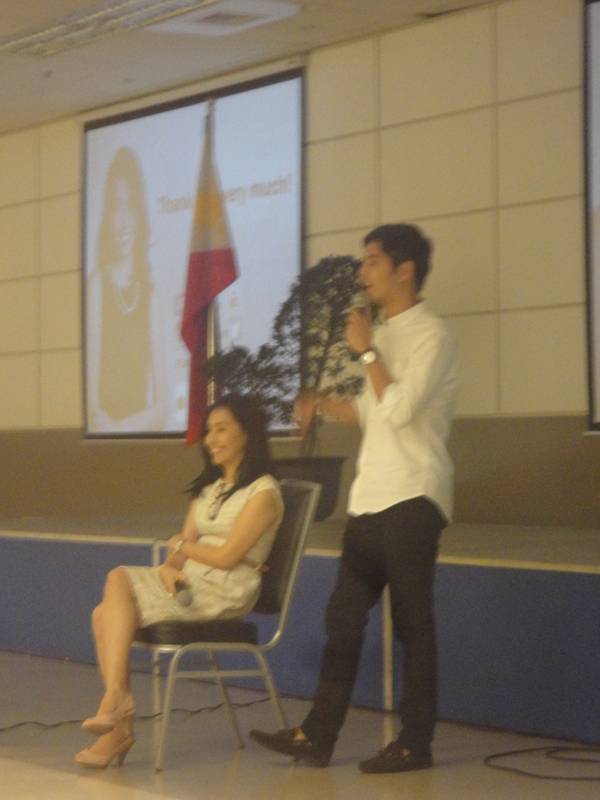 Ms.Rose Fres Fausto and son Marty during the Q & A. The session on Raising Children with High Financial Intelligence Quotient (FQ) offered a fresh perspective on parenting and financial responsibility. It seems more common for parents to teach their children how to behave properly, study effectively, or drive responsibly, but handling money at a young age is not often emphasized. In the lecture, Ms. Rose Fres Fausto provided several steps in teaching kids how to manage their personal finances successfully, which begins with understanding one’s own values and capabilities, and learning to differentiate between needs and wants. She highlighted the importance of saving and investing, and not waiting for children to become adults before they are taught about the significance of these concepts. I found it interesting that she has been teaching her sons how to invest in stocks and use financial statements since they were in grade school, and I realized the value of responsibly handling money as a skill that can be honed at a young age. Often, money is seen as a concern for adults, but since schools rarely teach budgeting, bank use, and saving, what better way for the future generation to learn about finances than from their own parents? Beyond money and material possessions, however, Ms. Rose Fres Fausto emphasized the value of being there for your children, and putting presence above presents. After the whole day-event, I immediately felt gratitude for my own parents for how they raised me, especially upon seeing and being reminded of the difficulty and challenges that come with parenting. It is easy to blame our parents for our flaws and for how we turn out to be, without fully understanding that parenting is not an easy task. However, the difficulty of this responsibility also comes with its potential for change, and by beginning with our families, we can spark change in our communities, schools, society, and the entire nation. Truly, as Dr. Honey Carandang says, “Parenting is Nation- building”. Hello Ate Mina! Si Chris po ito 🙂 nice to hear from you po! Yes sige po you can invite us. We can give parenting seminars and workshops 🙂 just send an email to mlac.etal@gmail.com and to my email na rin po ccarandang.psych@gmail.com 🙂 hope to see you soon po! Regards kay Kuya Ben and Bet-bet!